Double driver referral incentives! More morning peak hours and higher Friday & weekend fare guarantees! 1. 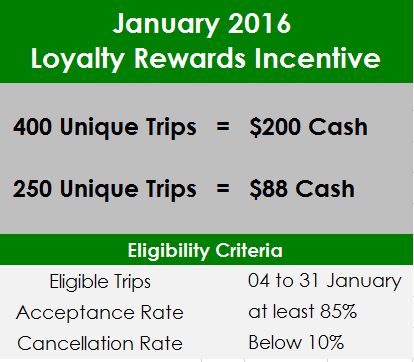 INCREASE your earnings with GrabCar’s Guaranteed Average Fare Incentives & Loyalty Rewards! 2. 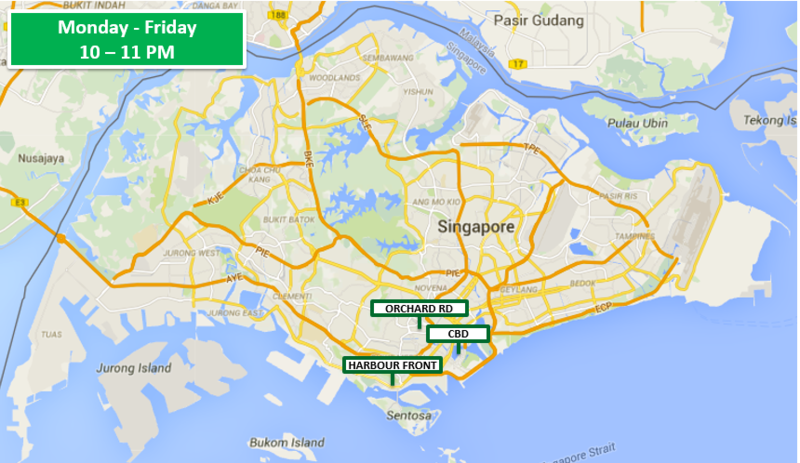 NEW: GrabCar Driver-Refer-Driver Double Bonus! Earn $100 for each friend you refer to GrabCar! 1. INCREASE your earnings with GrabCar’s Guaranteed Average Fares Incentives & Loyalty Rewards! This week, we have improved your GUARANTEED Average Fares Incentives with MORE peak hours EVERY morning and HIGHER guarantees during Friday evenings & Weekends! In addition, earn an EXTRA $200 of Loyalty Rewards in January! Grab this chance to INCREASE your earnings today! Example: This week, Darren has an Acceptance Rate of 90% & did not cancel. He completed 32 Green trips ($600 in fares), 20 Jade trips ($300 in fares), 40 Purple trips ($400 in fares), 8 Yellow trips ($120 in fares) and 20 other trips ($232 in fares). 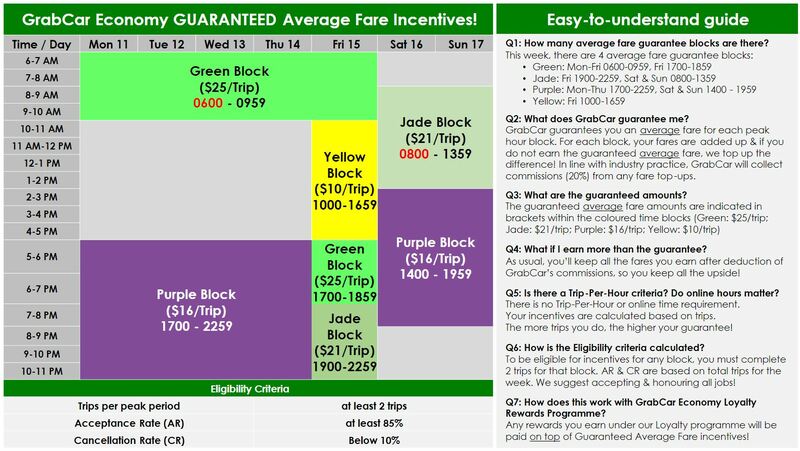 On top of the $1,652 he collected in fares, GrabCar will top up his fare by $560 (Green: 32 x $25 – $600; Jade: 20 x $21 – $300; Purple: 40 x $16 – $400; Yellow: nil as he earned more than 8 x $10). After GrabCar commissions of 20%, he will receive a final incentive of $448! ($560 x 80%). This means he takes home $2100 in fares & incentives THIS WEEK ALONE! He’s also on track to earn an extra $200 in loyalty rewards for January! We are DOUBLING your reward for referring friends to drive with GrabCar to $100 (usual $50) for a limited time! It’s easy to earn this referral bonus as the driver you refer ONLY needs to complete 10 unique rides within the first 2 weeks of activation! 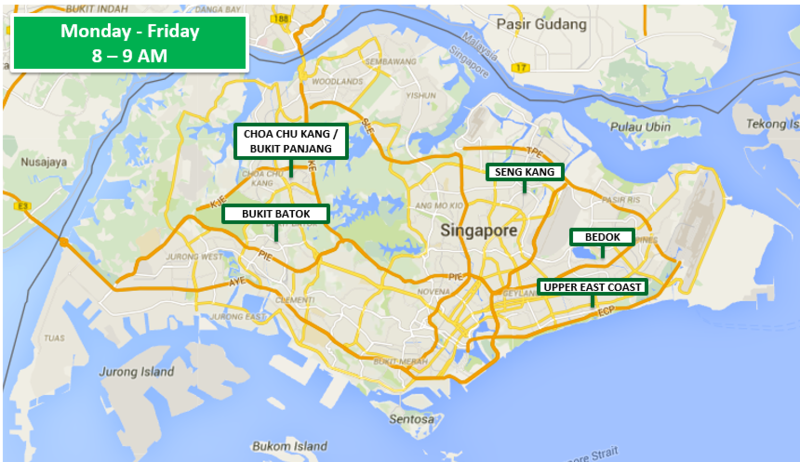 Don’t miss out on this opportunity to share the benefits of GrabCar with a friend today! Help them to achieve their goals and benefit too! Looking to earn more and not sure where to get more jobs? Don’t worry – we’ve got you covered! 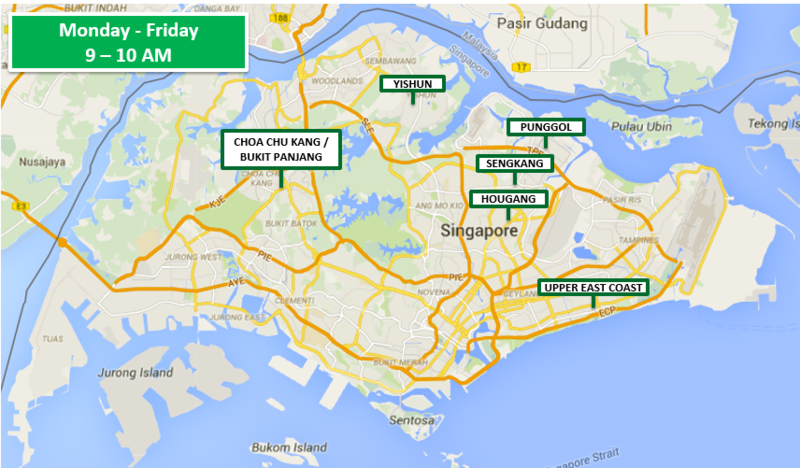 Check out the following hot spots at these timings for greater opportunities. Drive there to get more passengers! If there are repeated passengers, only the trip that occurs first will be considered for the average fare guarantee. Each unique passenger will only be counted once towards Loyalty Incentives trip count each month. 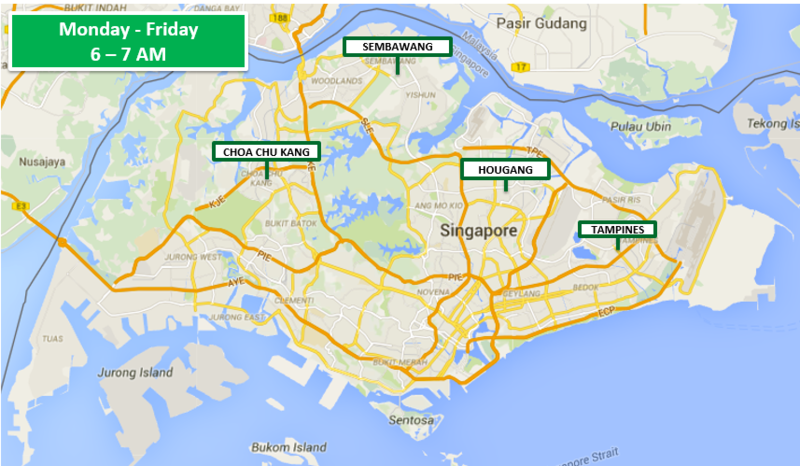 GrabCar jobs outside of Singapore are not allowed and will not count towards incentives. 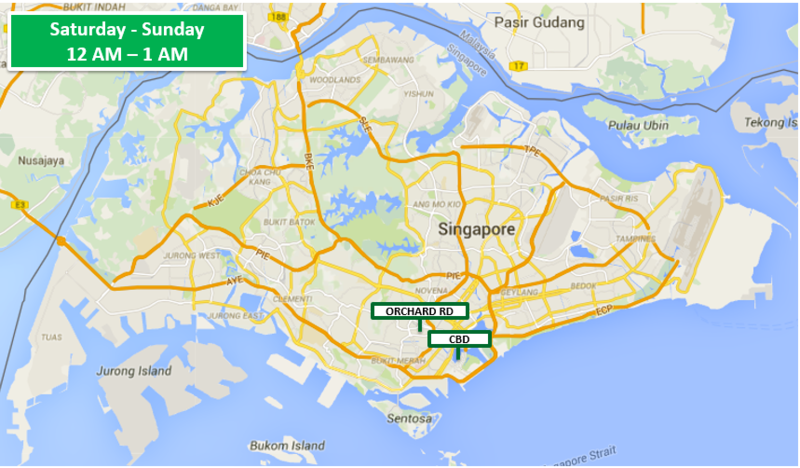 Do take note of GrabCar’s Code of Conduct & always maintain a minimum 4.0 star driver rating. GrabCar reserves the right to forfeit incentives & suspend accounts of GrabCar Partners whose driver ratings fall below 4.0 & cancellation rates exceed 10%. GrabCar Singapore reserves the sole & absolute right to disqualify or reject Partners deemed ineligible for incentives (be it under the Terms & Conditions of the incentives or Partner conduct that GrabCar considers inappropriate or unacceptable). 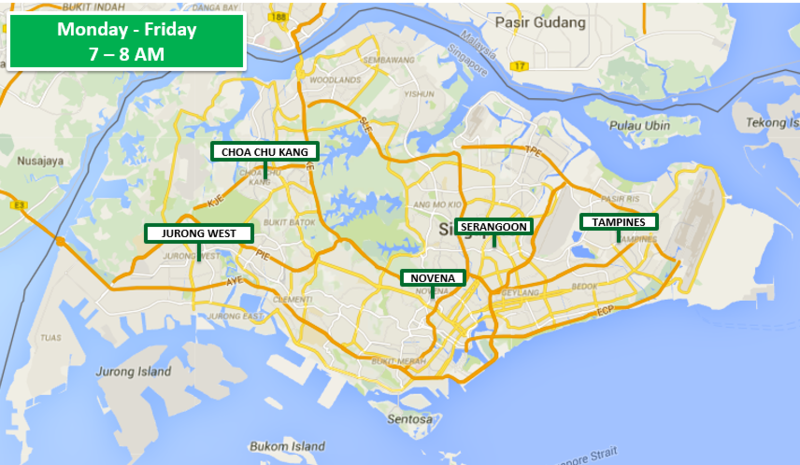 GrabCar Singapore’s decisions in any matter in relation to driver incentives shall be final and conclusive. Any request for appeal and review shall not be entertained. GrabCar Singapore reserves the sole and absolute right to withdraw, amend and/or alter any part or the whole terms and conditions of driver incentives at any time without giving any prior notice.